As the credits rolled on this year's Rose Parade coverage, preternaturally sunny commentators Tish Cattigan and Cord Hosenbeck turned darkly bitter and mulled firing their crew. The show spurred complaints from some Amazon Prime viewers who apparently didn't realize Tish and Cord were Molly Shannon and Will Ferrell. The pair return Saturday – this time to HBO, for a live take on Prince Harry and Meghan Markle's wedding. Shannon and Ferrell's challenge: to make fun of the coverage without making fun of the couple. The "Saturday Night Live" alumni have plenty of material to work with – from both recent days and years past. 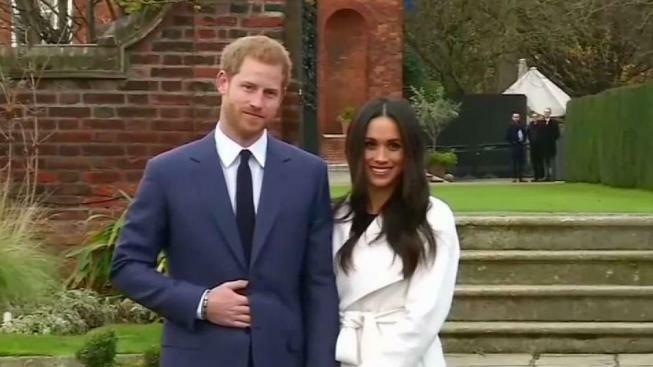 The union of the sixth in line to the British throne and the American actress has spawned a royal variety show of TV news and entertainment specials, including the requisite Lifetime movie (“Harry and Meghan: A Royal Romance”). The nuptials, at St. George’s Chapel on the grounds of Windsor Castle, will be beamed and streamed to everything from smartphones to televisions to movie theaters. The interest in the spectacle threatens to surpass the attention given the 2011 wedding of Harry’s brother, Prince William, and Kate Middleton. The hoopla also recalls the marriages of Harry and William’s paternal grandparents, whose 1947 ceremony became one of TV’s first major events, and their parents’ 1981 so-called “Wedding of the Century,” which drew a television audience of 750 million. Harry, 33, and 36-year-old Markle pack their own idealized appeal, though real life is far from a fairytale. In 2016, Harry took aim at troglodytes trolling Markle over her lineage (her mother is black and her father is white). A family drama of another sort erupted this week over whether Markle’s father, Thomas, would attend Saturday’s ceremony (the latest: He’s not going). Which begs the question: Why bother with a glitzy to-do, designed to feed the celebrity-obsession machine? Harry well knows the downside of living in the public eye – most harshly through the loss of his mother, Lady Diana, who died in a 1997 car crash as paparazzi chased her through Paris. The duo, who will be joined by former “SNL” player Tim Meadows, offered preview of sorts on “The Tonight Show” Wednesday with a song about Harry and Markle. “Wedding of the century – they’re gonna make it happen!” Cord and Tish sang. Everybody might not get or appreciate the joke – but it’s a good bet that Harry and Markle will.